Previously on Shadowhunters, Magnus once again lost his magic, Lilith returned to Edom with Cain and the Shadowhunters tried and failed to removed Clary's bond with Jonathan. This is 100% Izzy's episode. As Izzy tries to find a way to break Clary's bond with Jonathan and also further investigate Heavenly Fire, she sends Simon undercover to an off-the-grid facility seemingly housing Downworlders. As she co-ordinates the mission with Alec's semi-reluctant approval, she also works with Aline to ensure everything goes smoothly and to figure out who exactly is behind Heavenly Fire. 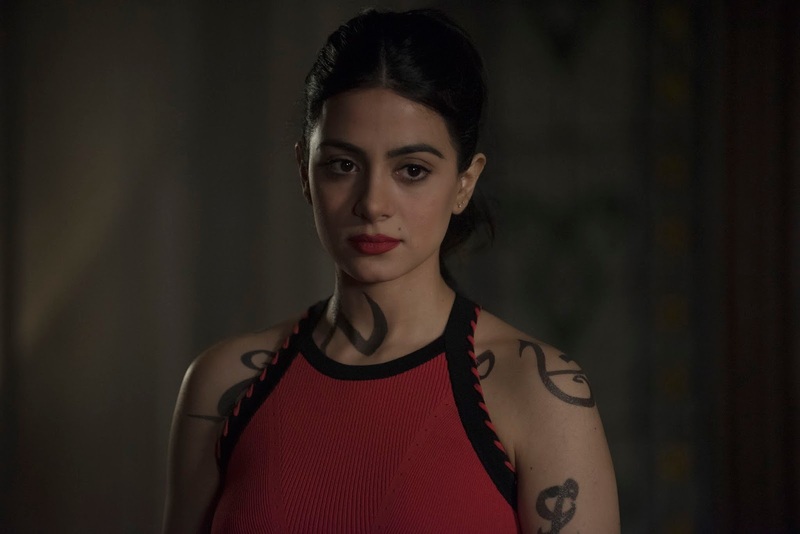 As Izzy gains an audience with them in order to gain intelligence and stall for time, she displays incredibly bravery and versatility in a way that we haven't seen from her in a while. Simon in the meantime makes some friends along the way, both old and new faces, and what was meant to be a quick in and out may turn into a harder getaway than anyone from the Institute would've liked. As Underhill questions Jonathan about the Morningstar sword (offscreen), Jonathan is less than forthcoming with answers, and will only talk to his favourite sister. 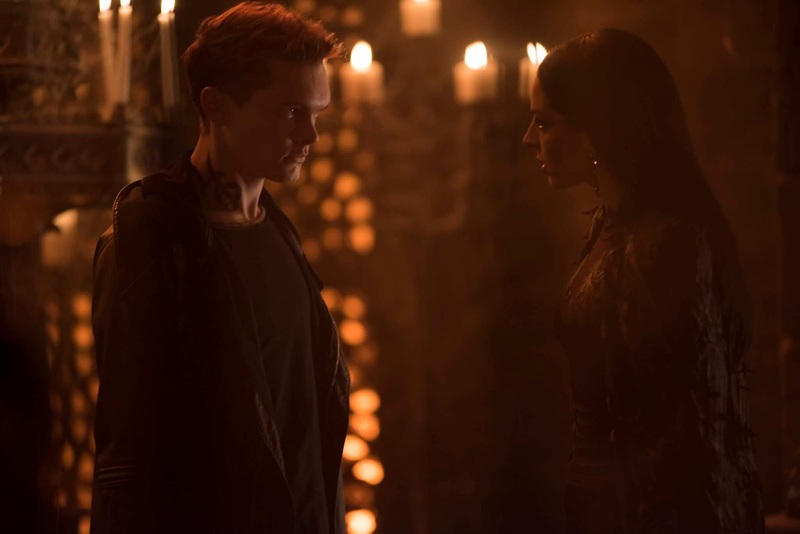 Jace is reluctant for Clary to be anywhere near him, but Clary thinks that with him close, her bond with Jonathan won't be able to affect her. 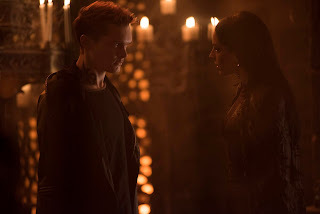 As she talks to Jonathan, he reminisces upon his times in Edom and on first hearing about Clary. As we hear about Jonathan's treatment in Edom, it definitely adds an extra layer to him, but whether you feel sympathy towards him or if it just adds another element of creepiness will be entirely up to you. Elsewhere, Alec plans his proposal to Magnus. In an incredibly plot driven episode that delivers some interesting surprises, the introduction of a fan favourite book character and the return of some interesting characters who we may not have seen in a while. Shadowhunters airs Mondays at 8.00 on Freeform. - One storyline might not go in the direction you think it will. - "You can't tease me like that." 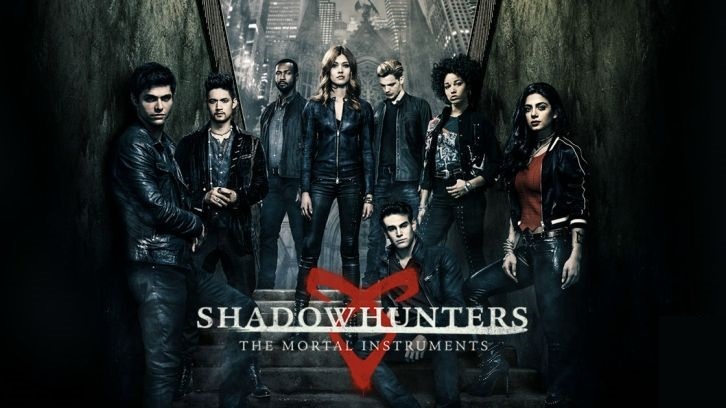 - There is a fight scene between Shadowhunters and Downworlders that results in at least one casualty. - Is this episode truly the start of at least one romantic pairing? It could be. - "I'm in big trouble, aren't I?"